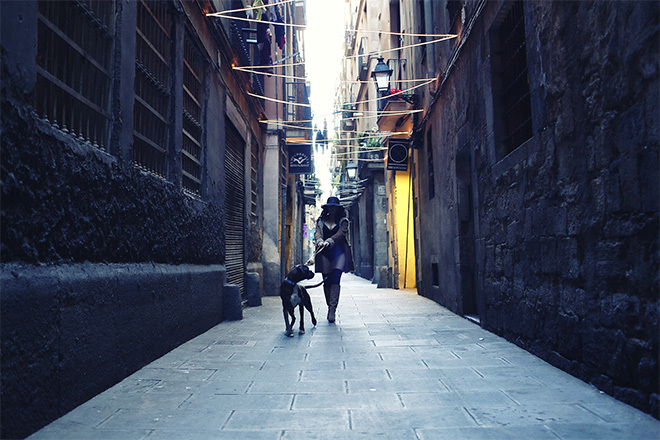 What is so special about Barcelona that we are so in love with? Sun! Pina and Toby came from Germany to spend some weeks in the city. As they had a great time in Barcelona they decided to make the most of the city and have a memory of one of the happiest moment of their life. It was difficult to choose one among all the characteristic venues of Barcelona but we finally decided to do the photo session in the Born neighbourhood. The picturesque streets, the architecture and the bohemian atmosphere that you feel in Born fascinated them. So there we went and it was an unforgettable day. We met at the hairdresser’s called Born to Cut, I highly recommend this place because Carlos is so nice and he caught what we were looking for perfectly and Pina looked gorgeous. Her little puppy Greta was also there waiting for us. 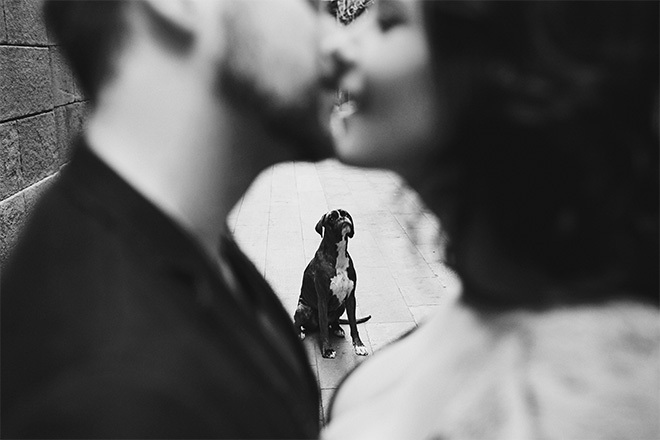 She came along with us during the photo session and she was such a good model as well. I have a very special memory of this photo session because Pina is an attractive, joyful, funny woman and it was great to capture the beautiful moment of her pregnancy. She was so happy and she conveys her bliss in the photographs. They are going to create a wonderful family along with Paola.